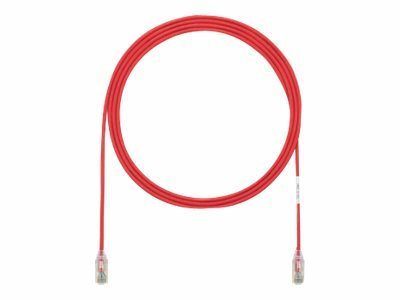 These small-diameter patch cords are constructed of 28 AWG, unshielded, twisted pair, stranded copper cable with high-performance RJ-45 modular plugs. Tight bend radius enables improved cable routing and management in high-density applications. Smaller cable diameter allows more cords to be routed through cable managers. Reduced cable diameter facilitates improved air flow, cooling, resulting in lower operating costs.